Taffy is one of America's old time favorite nostalgic candy. Our old school recipe and antique 1908 equipment keep the tradition alive. Step back in time and taste the difference in taffy made the old fashioned way without any fillers, or preservatives. 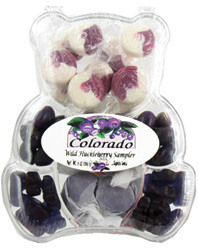 Available in wild huckleberry and a variety of flavors in an 8 oz gift bag. Yummy and bursting with wild huckleberry flavor, our jelly beans have been delighting our customers for many years. Packaged in an 8 oz gift bag. We now offer many different flavors in colorful 8oz packages. 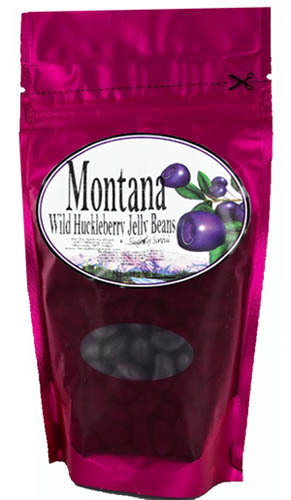 Yummy and bursting with wild huckleberry flavor, our jelly beans have been delighting our customers for many years. Packaged in an 6oz Bear package. 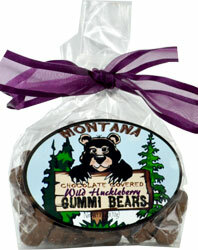 We now offer many different flavors in colorful 6oz Bear packages.